The big question is, why do these kids hate Jews? The mainstream media is talking about this brave uprising of kids who are fed up with violence in their schools, but nobody’s asking who is really pulling the strings on this deal. The same is true for the Bismarck Tribune, who failed to ask the question: who’s behind all the walkouts? The short answer is:a leftist activist group tied to a number of such events, part of that “community organizing” thing that our previous president was so active in doing. 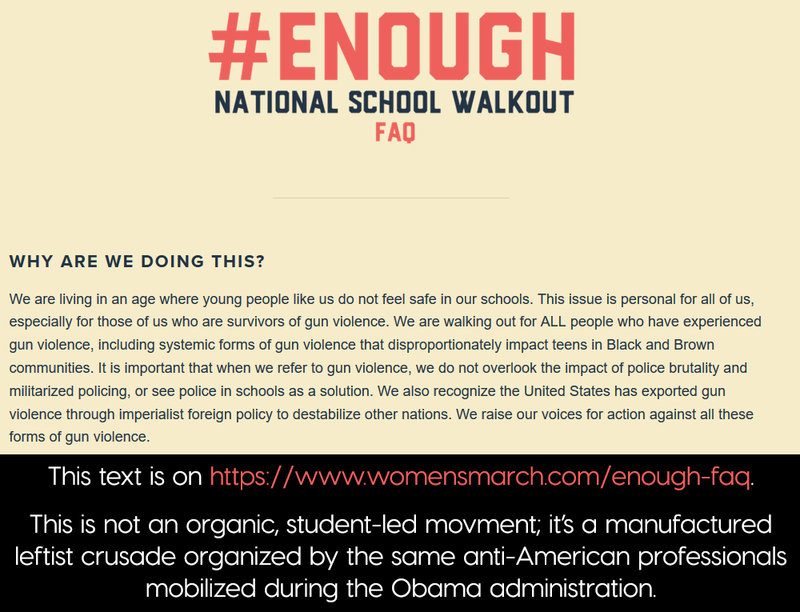 One of the local students is even listed on that organization’s website, proving that this is no organic, spontaneous, local reaction to a Florida tragedy. The Women’s March organization is the puppet master. Yawn. Name the event, name the issue, it’s like a broken record with these people. 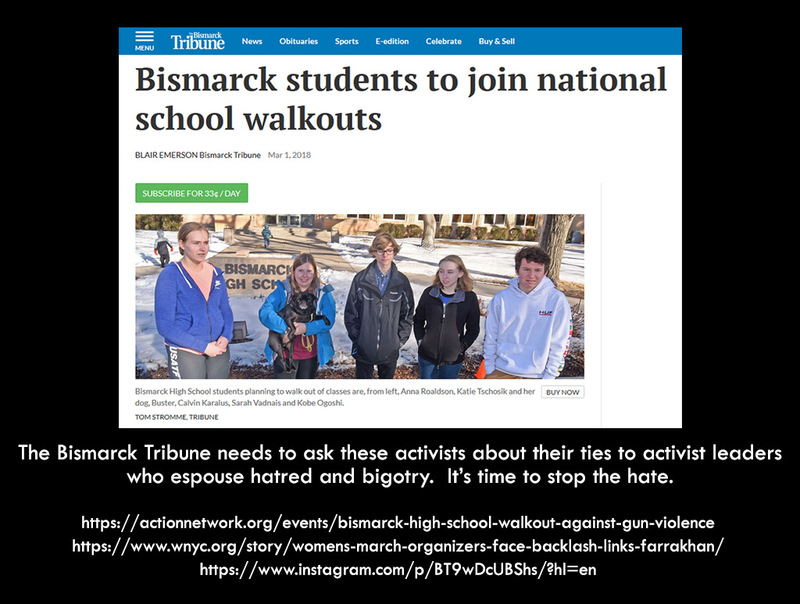 But they’re the ones sending Bismarck High School students out to the sidewalk. Did you read any of that in the Bismarck Tribune? 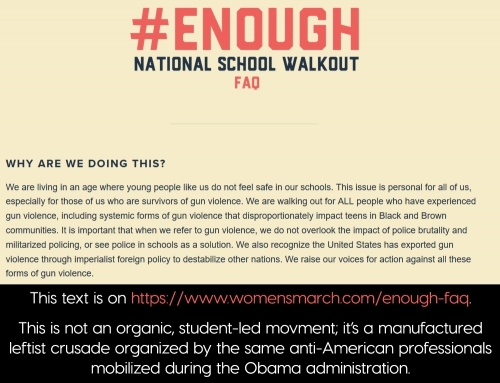 Call me a cynic if you like, but if there was a bunch of pro-life kids that staged a walk-out to oppose the horrors of abortion killing way more children in the womb than guns ever will in the classroom, they’d be asked a lot of tough questions. They’d be accused of being puppets of some right-wing organization. If someone associated with someone associated with someone in a pro-life group made offensive or loony comments at a meeting somewhere, the entire group of kids and anyone near them would be associated with those comments. If there was ANY way to call them Racist™ or connect them to anyone making Racist™ comments, there would be a blitzkrieg to do so. The last thing they’d be called is brave, and nobody would be clamoring for them to get the right to vote so they could overturn that sacred Roe v. Wade decision. The fact of the matter is, these kids are voicing opinions with which the media agrees. That makes everything OK, and pay no attention to the man (or in this case, women) behind the curtain. And whatever you do, don’t connect the dots to show the wicked ideologies at play here. Which leads me back to my original question: why do these kids hate Jews? If they don’t, maybe they should pick their allegiances more carefully. If they didn’t know what kind of people they’re aligning with, perhaps they should get more informed before they march out into the streets. 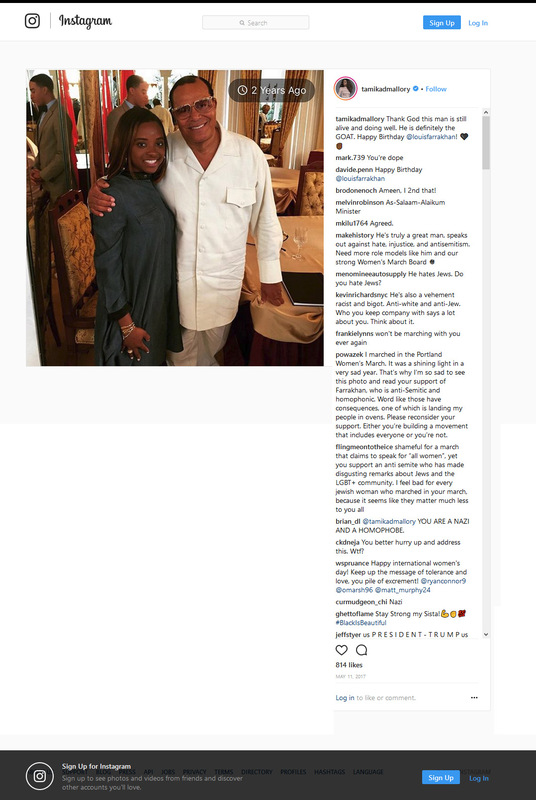 (If you think it’s unfair to attach the anti-semitic comments of Farrakhan to these students, well…welcome to how conservatives are treated. The media find some tinfoil-hat wacko out on the Internet somewhere, then call up prominent conservatives and demand that they respond to those comments as if they’re associated. They try to always keep the people they oppose on the defensive. This entry was posted in Expository, Media by Clint. Bookmark the permalink.